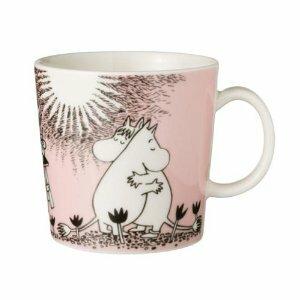 Home Kitchen Accessories Moomin Mugs – Bring Out Your Inner Child! Moomin mugs are the definition of cute! Part of the iittala Moomin collectibles range these mugs are inspired by the Moomin valley folk from Finnish author, Tove Jansson’s, adventurous Moomin Valley children’s book series. It is hard to believe that the Moomins, who are the cutest white trolls, turn 65 in 2010. I believe the graphic images that appear of these mugs and indeed the plates, bowls etc. will appeal to children young and old(er!) for many years to come. These mugs have become collectors items in Finland and around the world, so if you are having friends over for coffee you might want to do a mug count before they leave! Amazon supply a large selection of Moomin Mugs and instead of showing you more mugs I thought I would bring some light relief for Friday in this video which will give you a little introduction to the Moomins! Next articleAlessi Kettles – Do They Blow Your Whistle?